Open mind versus snake oil. Most hifi reviewers are self-styled. What diploma from the international bar of audio reviewing do you think they hold? At heart and by formal training they’re hobbyists. They’re not engineers pencilling circuit schematics on bar napkins. If they were, they’d be working as such somewhere in hifi manufacturing. Which would render them unfit to moonlight as reviewers. Hence chances for our kind to lose the technical plot are high. Now our scene is set. Reader Christopher Liljenstolpe enters at stage right. 1) Shielding doesn’t make a bit of difference in an Ethernet cable. There is nothing to tie the shield to. Unless you are running shielded network jacks (very uncommon and usually found in hi-EMI factory floor applications for example), there is no termination for a cable shield on either end of the cable. That’s why Ethernet cables are twisted pairs. That’s how they reject noise. 2) Directionality? TCP/IP is inherently bi-directional. If we are really worried about jitter, then jitter in the back channel is just as damaging as jitter in the forward path (the window won’t open until the ACKs make it back). Now Christopher exits stage right only to reappear moments later in his alter ego as fair-trade consumer advocate. Here is his email to AudioQuest. “Greetings. I’ve been an AudioQuest customer in the past since I do believe there is a difference in analogue cable performance. I could even possibly agree that S/PDIF may benefit as there isn’t really a datagram disassembly/reassembly on the ends of an S/PDIF link. But guys, come on. Ethernet? 1) Jitter is not corruption. It’s variability in inter-packet arrival time. a) Jitter on a cable is infinitesimal compared to the processing elements on either end. We’re talking sub micro-second. I know. This is my industry. b) The full spectrum of the audio signal is encoded in the same packet. There’s no ‘smearing’ or other jitter effects between high and low frequency signal. It’s all in the same packet. 2) It’s Ethernet. If the packet is malformed, it gets retransmitted. That’s a huge hit. If cables caused even a 1×10^10 packet error, everyone would be screaming. $0.85 Cat6 patch cables from Monoprice. have a BER substantially lower than that. It’s just not an issue. If it were, IT wouldn’t work. A single bit error causes re-transmission. That’s a logged error, not something that’s quietly dropped. The curtain falls. The play on Broadcom is over. Time to take sides. Fancy coffee with that? I always enjoy experts in their field talk tech. It’s a great learning opportunity. But at the end of the day, our sort sits down and listens. Audiophiles did when Noel Lee’s Monster Cable first proposed costly cables. They did when Chris Sommovigo proposed an impedance-matched S/PDIF cable under the Illuminati brand. They did when ‘purpose-designed’ USB cables for audio first hit. They wrestled with power cords and called BS on generics being good enough. There’s no doubt. Wishful thinking and active imagination often fill the gaps left by large hifi expenditures. And, there’s generally some form of consensus a few years later. Software players like PureMusic and Jplay couldn’t possibly have any benefits. Yet here they are many years later enjoying happy subscribers and ongoing updates. Are all their users delusional? Hasn’t it time and again been the case that silly impressionable audiophiles proclaimed differences where science said there couldn’t be only to precipitate a climate of change? And didn’t those changes eventually lead to sufficient empirical evidence and a new understanding of the very same subject matter? Cleary Christopher knows his stuff. I was simply surprised that he’d pass up an opportunity to challenge his conviction with an audition. Or openly call out AudioQuest’s BS because the demo tanked. Being taken for a fool under the guise of keeping an open mind is a definite risk. Publishing reviews on questionable devices can create popular myths which soon prove hard to eradicate. This demands responsible publishing. By the same token, someone must be first to venture out on any new potentially inflammatory topic. Remember acoustic resonators? It’s far easier to join the chorus a few years later when initial outrage has transformed into acceptance. How to navigate these decisions isn’t easy. Often the best and only thing to do is admitting this basic fact, proceed with curiosity tempered by caution and trust the intelligence of one’s audience to let the chips fall where they may. On the Ethernet cable front, I’ve yet to pop my cherry. I stream 16/44.1 FLAC files via Qobuz across a 2-meter stretch of garden-variety Ethernet cable between work computer and Internet router; and via a 15-meter run of the same to my music computer where I also purchase music downloads from Qobuz, BandCamp & Co. Without stutters, dropouts or distortion, I’ve not been motivated to investigate designer LAN cable. Yet. But I’ve already published two reviews on them written by other contributors. Both heard improvements over their generics. Busted? Time for this response board to get busy! My mind is very much open on this issue. I attended an Audioquest demo of their ethernet cables at the Munich High-end show this year. Even against the backdrop of room chatter the improvements to sound quality were easily discernible. Mind = blown. Audioquest are now sending me a selection of their ethernet cables so that I might replicate this result at home. there’s something both beautiful and fascinating about the analogue domain, and that’s the very sine wave it is part of which is impossible to reproduce exactly every time we play back our favorite track. Due to the wave being infinitesimally defined, you can zoom in as much as you want, you’ll never ever get to the “single pixel” which, chained among the others, makes the entire wave: if you could see “the pixel” it means that that wave has been sampled, therefore we would be in the digital domain. On the other side, there’s nothing “romantic” about digital and its square waves: they are incredibly boring since they can be only 1s or 0s. How sad is that? Did I just discover the secret between our listening pleasure and vinyl (or other analogue sources, for that matter) maybe? Anyway, back on topic. Since we’re talking digital here, 1s and 0s aren’t supposed to change from one end of the LAN cable to the other, otherwise there’s some problem with it. This is an extremely simple test you can do if you own two PCs/Macs with Ethernet interfaces. Hook up these PCs/Macs with each other with a “normal” LAN cable first, so that there aren’t any additional devices/cables between them (if they don’t have a LAN port you can buy a couple USB-to-Ethernet adapter for dirt cheap). Now transfer that file to the other machine over the Ethernet network you set up before and, when the file has been transferred, calculate the transferred file’s MD5 hash and compare it with the one you saved before: if they match, the file transferred is bit perfect which means it’s all good. If they don’t, then there’s something wrong with the cable or the interfaces. Either way, now switch the “normal” cable with the “audiophile” cable and repeat the test. I would be pleased if you’d share the results on your blog and share your experience. Spoilers: the files’ MD5 hash will match (or won’t due to protocol/interfaces problems, the cables are hardly at a fault in these cases) with both cables, meaning that the data transferred is 1:1. Therefore LAN cables (as well as USB cables, you can repeat the same test using a USB Hard Disk) don’t offer any improvement. Hi Luca. Calculating MD5 hashes of transferred files doesn’t factor in the time domain, so critical with digital audio transmission. Besides, the best way to test whether or not an ‘audiophile’ ethernet cable makes an audible improvement is to try one in your own system or attend a demo. Please correct me if I’m wrong, but I’m quite sure that all DACs that offer the possibility of fetching audio files through a network have a buffer which solves the time domain problem since they wouldn’t be streaming music in real time. I know many of those DACs usually load the first track of the album playlist entirely from the network and store it into its RAM (much likely most audiophile playback software nowadays) and then starts buffering the next track as the one already in memory is being played. Which would make perfect sense: why in the world would you use a a best effort protocol such as TCP/IP to do real time streaming? Ethernet isn’t a real time event. My GB network can serve up an entire CD worth of music (16/44.1) in ~7 seconds. If I were using the JRiver play from RAM feature I could pull the Ethernet cable after 8 seconds and listen to an entire album. As it is J River and others have a pre-buffer. JRiver is 6 seconds by default and max up to 20 seconds. There is zero time domain issues in a properly configured, modern, switched, Ethernet network. How does Audio Quest setup their demo? I actually emailed the rep listed for Ohio region twice and never did receive a response. I ordered the Vodka cable from them. Ended up sending it back. You bought the AQ cable, gave it a run in your system and then returned it. You kept an open mind. Is that not the point? I have to ask: did it not make any difference whatsoever? To answer the question of did the AQ make a difference, how could it? The computer is playing back out of RAM. Not off the cable. I don’t even need it connected to make noise. If you take a BJC cable and download a 24/192 track and then download the same using the AQ would you expect a difference? One thing I’ve learnt these past coupla years is that what I expect to hear and what I actually hear are sometimes two very disparate things. I used to think that USB cables couldn’t possibly make a difference. And guess what? I’ve heard at least two now that do. They bucked my expectations. Earlier this year I would never have believed that Ethernet cables could make a difference; 20 mins in Munich was all it took to shoot down that preconception. You tried the cable and (I presume) you found it made zero difference. I too shall be trying them down the line. That listening will do the talking, not thr theoretical preconceptions I (or you) might have. Your argument about playing from RAM makes sense to me. And I just don’t know how or why AQ cables made a difference in Munich…but the point (for now at least) is they DID. I also gotta know: if the AQ cable couldn’t possibly make a difference, why did you order one to play with? I ordered the AQ because I could and the return policy was simple. With my LAG (Link Aggregate Group) I would start playing back a tune, switch the cable and wait for something, anything. But nothing. The realization struck when swapping out, and unlike a realtime setup the music continued on, I wasn’t listening to the cable and any time domain argument went out the window. So I’ve answered your questions. Could you answer a few of mine? How was the AQ setup you demo’d designed? Was the other cable they used certified? Was it UTP or STP? If you download a 24/192 track from say HD Tracks into folder A on an AQ or Chord and the same from HD Tracks into folder B on BJC or Belden and the MD5 hash matches can they sound different? How about using the AB/X feature in Foobar and multi-team a computer and cue up two tracks. One would play from the AQ/Chord and another from BJC. I would love a Get Together on that and set it up. Habanero – I’ll need to ping AQ on the specifics of their demo. You seem quite keen on having a theoretical discussion here. And I take your point that there shouldn’t be any sonic difference, especially with such large buffers at play. However, past experience tells me that I shouldn’t discount any possible outcome (no matter how seemingly implausible) until I’ve listened for myself. My mind is still open. I don’t see it as being keen on the theory. I see it as understanding, to a very high degree, how packet data works and going from there. That is why I have questions about AQ’s setup you attended. I went to Youtube and found their video about their Ethernet cable and posted a response with my video detailing my test setup. I hope they will reply. I don’t typically trust manufacturer demo’s of that nature. Also I don’t think AQ can call their cables CAT7 since they aren’t using GG45 or Terra connectors. Where are you out of? May be a get together could be done. Would be fun and informative. Hey again Habanero – I’m in Australia. I’m not an ABX guy at all, but I also am going to go out on limb and say that my system doesn’t sound better (or worse) on the vernal equinox. Do the test on your own gear and where you control the variables, and let us know. Anything is possible but this one is really out there, man. A comparison between Amazon Cat7 to Gucci Cat7 cables would be the natural comparison as they are the same standard with the # twists and shielding, which Cat5-6 do not have. Have you done this comparo at all Josh? I’ve run $6 Cat7 cables for over a year and have had virtually zero, Tx, Rx, or collision error in billion and billions of packets. 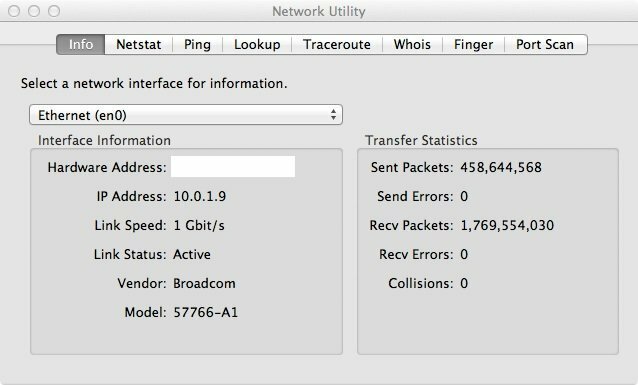 Your users can check their transfer statistics using Network Utility on a Mac. In making a comparison, it makes no sense to compare an unshielded Cat 5e or Cat 6, to a SHIELDED Cat7. If you want to make a valid subjective or objective test for the Cat 7 AQ cables then compare to a generic CAT & cable. Otherwise, it is apples to oranges. The thing about TCP/IP vs. any other transport you use John is that it has a checksum in the header and if this does not match due to any data corruption the packet is resent until the packed header checksum matches verbatim. The only other mechanism for SQ degradation would be the ground picking up nose and the shielding in Cat7 should help with this. Any yes, I exclusively use Cat7 cables to play all of my music from a NAS on the other size of my apartment and with in my system with zero errors and great sound. Secondly, our players use MEMORY PLAY. This means the files is loaded into and played from RAM which is downstream from the ethernet cable. Can ethernet transfer my music files just like a word or excel file. Yes EXACTLY the same. And you or your users can test in another way AS I HAVE DONE A YEAR AGO. And that is to take your player – say Audirvana+ – and press pause. Then turn your amp up to 11. Do you hear any noise coming from your NAS? This is the only other thing I could thing of because the music file was transferred in a bi-perfect manner as per my network transfer statistic reported by the Mac OSX operating system. Here is the take away: You aren’t listening to the cable. You are listening to the buffer. Music plays while the cable is unplugged. There is ZERO time domain issues even with such a gross CRITICAL error as the cable unplugged. You can’t really throw a bigger error than that. I’ll say this plainly: Jitter doesn’t matter in Ethernet. Jitter is 100% obliterated. There is no jitter. If there is EMI/RFI coming through then you would be able to tell me, while you are listening to uninterrupted audio mind you, when I pull the Ethernet cable and also place it back in. Of course I would be on the other side of the curtain doing this since your ears don’t need to see me doing this. Gucci Ethernet cables? I’ll stick to my Versace cables, thanks. It’s hard to keep an open mind when you consider the price for 30 ft of ”audiophile” ethernet cable. Every cable individually tested, with report. Sounds great (me thinks) and I use a second one for streaming large video files to my Oppo player. I would really like for someone to test these against something like the Audioquest. In any case I can’t afford the latter. As a) I’m a big fan of Blue Jeans cables and b) I’m taking delivery of some Audioquest ethernet cables I don’t think a comparo should be too hard to organise down the line. If you do go ahead with the ethernet cable comparison, can you also arrange to provide information if the tested cables meet specifications (externally lab tested). This would be interesting to reference against your listening results. I can only rely on information provided to me by the manufacturer. BJC send test certs out with theirs apparently. Will know more in a few weeks I guess. 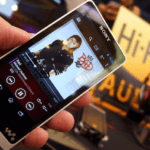 This is a very important article – in my view – since it compares not only opinions of reviewers and audiophiles, but also those of IT technicians and manufacturers. I wish, ALL reviews had this versatility of angles. I always pay attention to reviewer’s impressions, but I try to keep my mind open to ALL above opinions because being a lay person and having to make an educated choice on the basis of solely reviewer’s impressions is not always possible (if you take into consideration the multitude of factors that may influence his particular view). I agree. And I’m sure Srajan will chime in when his time zone wakes up to ‘tomorrow’ but didn’t we go through all of this with USB cables? It was only a few years ago that had conventional wisdom stating that all USB cables sounded the same. Nowadays, more people are open to the possibility that many USB cables can – and do (!) – sound different. Could this logic not be transferred to ethernet? At the very least, every skeptic should be open to a real-world demo. Often the most frustrating quality of some audiophiles is their willingness to proffer opinions on what will and won’t sound better/worse in theory whilst keeping the door to empirical testing firmly bolted. Yeah, I do get paranoid about cables. When I buy a new computer I put the new and “archive’ computer together beside the router so the Ethernet cables are as short as possible and homeshare the music base from one to the other. I’ve also copied songs over 120 feet of Ethernet but can’t tell the difference sonically. Convince me though and I might plunk down sub $100 (my cable upper limit). As an aside I hooked an external HD to my SAt Receiver to record shows with the supplied USB cable and got a picture akin to a 3rd generation VHS copy. Substituting an $8.00 Belkin USB made the recording and playback crystal clear – a visual representation of cable quality. Ken – to be convinced (or not), all one must do is accept the offer of a demo. I found this article on Audioholics talking to Blue Jean Cable quite instructive – if not exhaustive. Seemingly a lot of data cables are simply not performing to specification. I guess the exploration of what is the actual relationship of these low-performance or high-performance data cables to the resultant sound needs more examination. Being open to this exploration would seem to be a requirement – rather than rejecting experience out-of-hand. Justin – agreed. As Srajan says in the article, if you take up the offer of a demo then you have the perfect opportunity to call out the manufacturer on the basis of real-world testing. That’s surely worth more than armchair pontification. IMO, the only way to correctly test this is double blind testing, so you don’t have to deal with expectation bias, which plagues each demo or test you attend/perform. You’re right in saying an MD5-sum doesn’t account for the timedomain, but a correctly functioning 100 mb/s network has a more than adequate bandwith to stream e.g. full unmodified blu-ray video with 7.1 DTS HD-MA audio, leading me to be convinced that any timing issues are solidly in the streamer, not the stream. The aim of this article was wider than Ethernet cables. I used those only because I had a reader exchange specific to them. Then John decided to create a headline which mentions them specifically. The general subject was actually ‘audio voodoo’ and how, over time, many devices which started out there have become accepted and understood, i.e. how and why they make a difference. In the cable arena power cords, analog and S/PDIF digital cables have already and USB is transitioning as more people experiment and contribute their findings. Using LAN cables for hifi is newer so we’re still knee deep in voodoo. One of my points was that regardless of tech arguments, audiophile MO is *listening*. I’ve never understood why someone’s belief in scientific arguments wouldn’t include trust in their own physical faculties too. The wider subject of which LAN cables were just an example are all the as yet not understood or misunderstood devices or tweaks that pop up. Acoustic resonators used to be ridiculed, now they’ve become established and offered by various companies, with a developed user base and sufficient reviews across the board that agree on their effectiveness. As the market for such devices develops, more makers are willing to invest resources to serve it and one result can be that more scientific research is done to better understand the exploited phenomena. But it all only starts because some audiophile somewhere is willing to give something seemingly wacky a try. And then it continues when that audiophile and his friends have the guts to say so in public (blog, forum, formal review, it doesn’t matter) and get ridiculed and buried in counter arguments why that couldn’t possibly be the case. Eventually there is a ground swell and then there’s enough evidence out in the open to create at least partial acceptance. 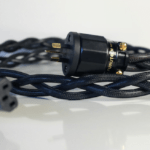 Cryogenic and various wave treatments to metal conductors is another such subject that started out being ridiculed and now is common MO for a large number of cable makers. Again, for any of the “voodoo-stuff”, I’d prefer it to be tested in an ABX scenario. It’s too easy to ridicule someone based on our own cognitive biases, which are taken out of the picture in double blind testing. Man, that’ a huge topic right there. Fear of Life? Fear of Relationship? Of Empathy? Similarly, we know that better sound has only a passing, sometimes congruous relationship to better musical enjoyment, but as audiophiles we want it both. Measuring objective performance is easy. Listening for compelling music and gauging performance implies an ability to infer meaning from data, to contextualise, to engage in inductive and synthetic thought – to empathise with another’s performance, another’s psyche. In my experience that confuses and petrifies more folk than one would imagine. You guys should see some of the carbon fiber related arguments on pushbike forums. Makes all this cable-rage seem tame in comparison. John, you live in Australia and download / stream music from Qobuz. Srajan lives in Europe, and I assume he downloads / streams music from Qobuz. Does the music you download from Qobuz sound any worse (or better) than that downloaded by Srajan (who, presumably lives closer to the Qobuz servers)? Can that be tested between you? Perhaps you could each send one another identical files (sorry, the same tracks) by USB stick??? Cables, if they have an effect at all, can only degrade sound. They can never improve it. What degradation is there Paris to Sydney; what degradation across your listening room? I’m genuinely interested. Bob – my technical knowledge of Ethernet cables is as skinny as the wires contained therein. My curiosity was piqued by an AudioQuest demo of different Ethernet cables that *did* sound different. That experience has me slowly digging deeper. Could the difference simply not be attributed to the final data leap from router to streamer? I don’t know. The point is: I’m open to the possibilities of different results even if I don’t (yet) understand the reasons why. A lot may come down to whether or not each patch cable meets CAT 5e/6/6a specification. Blue Jeans send out a test report with each cable sold. I’m hoping I can get something similar from Audioquest. This is one way to cut through any voodoo. There’s the ‘artistic approach’ which I subscribe to simply because my training as a classical musician and my overall wiring emphasize that; and there’s the ‘scientific approach’ which in our sector insists on measurements, double-blind testing and a focus on ‘just the sound, ma’m’. Ideally perhaps one would have both for a good balance. The challenge there is that a scientifically minded person, by the very dint of their training and outlook on things, will have a hard time getting into the artistic groove; and vice versa. We’re all slaves to our conditioning, experience and expertise. The article is in a way just anecdotal but the topic it tacles is anything but. The hard part with anything that has to do with audio reviews is the dearth of scientific basis like double-blind comparisons. Some might start to say it’s almost impossible to do a perfect double-blind test in audio but it’ll get a whole lot closer to the “truth” than reviews where the writer only discusses the product at hand. At least on DAR or 6Moons, some products are compared between each other. There is also the biases reviewers introduce: everyone like their sound “cooked” slightly differently. It’s also worth mentioning that since reviewers depend on advertisement to generate revenue, they tend to rate products rather generously just like on Wall Street where most stocks are still a Buy even in a bear market. Coming back to cables, the other aspect often swept under the rug is the amount of improvement they provide (if any) compared to the cost they command. Unless one is going for a cost no object system, it is almost always better to spend more on something else in the audio reproduction chain unless one needs very specific tweeking. On the other hand, keeping an open mind and trying new things is part of what makes this hobby interesting. For me who likes to design systems on a thight budget, I have settled the cable argument long ago and adopted the rule of thumb to never spend more than 5% of the total amount on cables. With this rule of thumb and by selecting cable shops that use reputed components for reasonable coin, I never felt that cables were the limiting factor (and I sleep better at night for it). I run Jriver on a laptop with my music files on a NAS. I can get them over wireless or wired ethernet. both come out of my head amp sounding the same. The DAC is USB attached to the laptop. With digital cables and protocols you can always hook up a logic analyzer to each end and see the signal. If there’s a difference then the cable is bad if there’s no difference, it’s good. all that’s left is it’s mechanical quality. For analog cables I believe measurable qualities like resistance and capacitance can and do make a difference. and food for thought, what was the cable from the mike to the mixing board? Hmm… unlike some other cables (interconnects, speaker cables), I do doubt the audible differences between ethernet wires. I have never had the opportunity to compare them, so I really don’t know for sure, but it seems unlikely. My music setup isn’t networked, so the whole thing doesn’t really bother me one way or another. 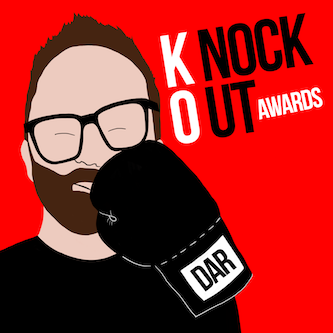 However, Audioquest were game enough to respond and say that they stood by their claims and if Christopher would come and listen, he could draw his own conclusions. He refused point-blank to bring his theoretical judgement into contact with a practical demonstration, so he doesn’t come out of it well either. This is a great article and it will be great to see in 5 years time the acceptance that Ethernet cables can make a difference. I recently put a chord Hugo in my system at home connected to Sonos and was really looking forward to sitting down to enjoy what it’s capable of. My favourite tracks were played and I was really disappointed. Flat, lifeless and sounded like it was out of phase. So bad infact that I had to run phase tests but all was fine. After interconnect changes and turning off everything in the house possible I still had the same dull sound. I removed the Hugo and went straight back to my pre amp and although wasn’t as prevalent the music still lacked emotion. I then noticed the track I was playing was from my secondary NAS pulled in via a powerline three rooms away. Hugo went back in and the NAS was brought close enough for direct connection to my router. I played the tracks again and wow what an astonishing difference. The life was back, the rhythm was back, the fun was back. Now if it’s packet transmission like discussed above then if the data arrives it should be perfect. I certainly heard all the music over the power line but it certainly wasn’t perfect. There had to be an external factor causing the life to be sucked from the packet, bit perfect, data signal. I will no longer ever advocate using power lines between NAS drives and routers. can have interesting twists. 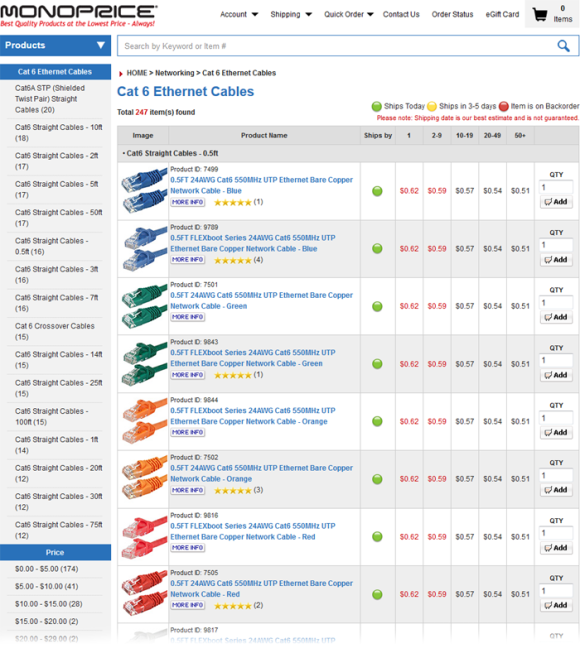 When we get to LAN cables for example, a report on the Blue Jeans cable website shows how 80% of commercial CAT5 and CAT 6 cables don’t meet their basic specs and how of four cables they tested which did, two barely managed. All of us consumers lack the gear required to test for compliance of CAT cables. Should one prefer the sound of an Ethernet cable *because* it fails specs (but doesn’t audibly misbehave because the signal, distance and surrounding conditions cause no failure), that’s a valid preference of course but once which really should be explained. Worse, how does the reviewer or consumer know whether the cable they compare against (whatever they currently own) is itself in compliance? Now we’re quickly getting on murky ground. Just for kicks and because it came to barely more than 100 Swiss franks, I ordered a 50-foot run and a 10-foot run of Blue Jeans’ certified CAT6a wire. Certified means inclusion of an individual test report on the cable using the requisite test gear to prove it complies with the format’s specs (500MHz bandwidth in this case and strict values for insertion loss and such) . Of course one still has to trust that these guys do what they say… but I figured I give this a try versus my garden-variety stuff which in the usual Swiss retail stores costs about the same and see whether I can hear any difference. With enough time passing, I expect we’ll see discussions from providers of ‘audiophile’ Ethernet cable reaching explanations which make sense also to engineers. If not but enough people claim to hear improvements… then we might once again look at not knowing what to measure, exactly, to explain these differences. But isn’t that how it often starts? The reason Christopher isn’t interested in “hearing” the difference is that it fundamentally breaks the internet if TCP connections aren’t bit-perfect. But there can be other explanations. It all depends on how the service such as Qobuz streams the data to the player. The test is to use an application like Slowy on the Mac (or equivalent on a PC) to simulate a really bad cable and slow the rate of data and increase the error rate deliberately to see what it does to the player. With a lossy streaming protocol, regardless of whether it is FLAC, the player might just not bother with missing packets and therefore you could potentially hear the effect of missing data as a subtle or not-so-subtle noise. With Spotify (and I would guess Qobuz), however it simply stops playing after the several second buffer, and the connection can drop out completely. It’s an all or nothing proposition. Either it fills the buffer in time to keep up or it has to stop and wait for the next batch of data to decrypt and load into the audio player. The protocol used guarantees this. The blue jean cables make sense streaming IPtv (multicast UDP), HDMI over ethernet, or the new HDBaseT which are not bit-perfect and have potentially high data rates. It’s unlikely that a 100Mbps cable would be that poor that it couldn’t stream a 1Mbps FLAC file in real-time. The only surprise here is that, as an engineer and – one hopes – a man of science, the OP actually believes that audio and power cables can make an appreciable difference to the sound quality. I try to keep an open mind about this but time and again I have been presented with irrefutable proof that high quality cables make no difference. I have little doubt that he is correct about ethernet. Last time I checked we can’t directly measure gravity. This doesn’t seem to stop us working in a world ruled by it. Same could be said for love. Want to live in a world without it? Is it important? Can we measure it or even prove it? Personally, I think we’ve reached a cultural plateau in our understanding of the natural world, from which we desperately need to graduate. I think it’s ‘okay’ to admit that we don’t know everything. Leaves room for learning, and the possibility of discovering new paths forward. Srajan I tip my hat to you for opening up topics like this to discussion. Rather than speak in absolutes and then act incredulous when people exhibit skepticism you give voice to the argument regardless of which side you fall on… and gathering your array of aluminum clad ZU interconnects on all your gear I gather which side you operate from. I personally am from the open minded skeptic side… First thing I did when I bought my vintage Sui amp was replace the rinky dink hard wired power cable with more robust OFC conductors… Sonic improvements weren’t clear to me but overall satisfaction was… and that is what matters to me… My sound system is a BIG DEAL to me. I want it tricked out just like my car… The stainless hoses on my 54 Lincoln do nothing to improve fuel and water delivery but add to my satisfaction in the car. Ultimately I am a grown man making my own decisions and that is all that matters. That said I would offer that Chris’s frustration might be from the place of pride that a man has in his craft and in this regard I agree wholeheartedly. It’s like if you spent 20 years mastering woodwork.. learned the physical properties of dozens of different species of wood, learned hundreds of different joining techniques, hardware and finishing types etc…. and you use this lifetime of skill in the trade to construct a masterpiece of woodworking…. then someone comes along and tried to sell a box of silver nails to your customers to improve the strength and durability of your furniture. Chris’s trade is ethernet transmission and based on his statements he has a deep understanding of its inner workings…. And although reasons may become apparent why a cable could improve sonics (mind you I am not closed to this idea). From Chris’s perspective Audioquest hasn’t done the work to give a definitive answer or advance the issue. Chris can see that the ad copy they are using includes pseudo engineering speak to sell a cable that in a round-a-bout way says to Chris “We know better than you”. Mind you I am open to cables improving sonics, but I think its a very bad habit for cable companies to draft ad copy that reads like a scientific white paper, when given white paper either makes claims that are scientifically out of whack (like soft packet corruption) or after 5 paragraphs of engineering claims they acknowledges in the fine print that they were **unable to verify 80% of claimed improvements with measurements and so to used listening tests as the basis of design (from Shunyata Research). Those are the missteps by cable makers that feed my inner skeptic because they seem aimed to deceive. Open discussions can be a source of learning. And that’s the general spirit behind these articles. And yes, I would agree that unless one knows precisely why one’s product performs better or differently, it would be more honest to say “we don’t know the exact mechanism at work” rather than write a fancy-sounding claim which doesn’t hold up to scientific inspection. That does ring deceptive indeed. I’ve felt like that about the original acoustic resonators which I’ve reviewed and own and use; and the explanations for the various inspired-by products. It seems nobody can explain them in a scientifically sound fashion. That doesn’t deny their efficacy, only that their makers’ grasp on the subject could be purely empirical. “We know that it works and we know that if we change xyz it works better or less so – but that’s the extent of it.” Where things get dicier is when the explanations don’t say *that* but start to invoke pseudo-scientific claims and big words. Like you I think we’d be better off without those no matter what product category is involved. I recently tried a long 5m length of Audioquest bulk LAN cable called ‘Pearl’. This made a positive difference on both audio and video streaming through my network. Previously, I have always preferred playing media via USB drive on my highly modified Cambridge Audio 752 bluray player (same mainboard as Oppo 103). The network LAN connection had always given a reduction in quality, sound was not as lifelike, HD video a slight amount of visual grain and noise. But with that one Audioquest cable, quality between LAN and USB is now level. This makes me wonder how much more performance can be wrought, because I still run a normal 10m LAN cable from my PC to the router, all my media is sitting on shared hard drives in my PC. If I got a proper NAS, short cable to the router (and using something other than Audioquest’s 2nd bottom cable), how much better could it get? And how about one of those Acoustic Revive RLI-1 isolators? One step that would make an obvious difference is to bypass the router and extra cable and run a NAS directly to the media streamer, but I don’t think this is technically possible, which is a shame. Great post Agisthos – thank you.